Carousel Coral: 3 Year Anniversary Giveaway (Closed) - Winner! 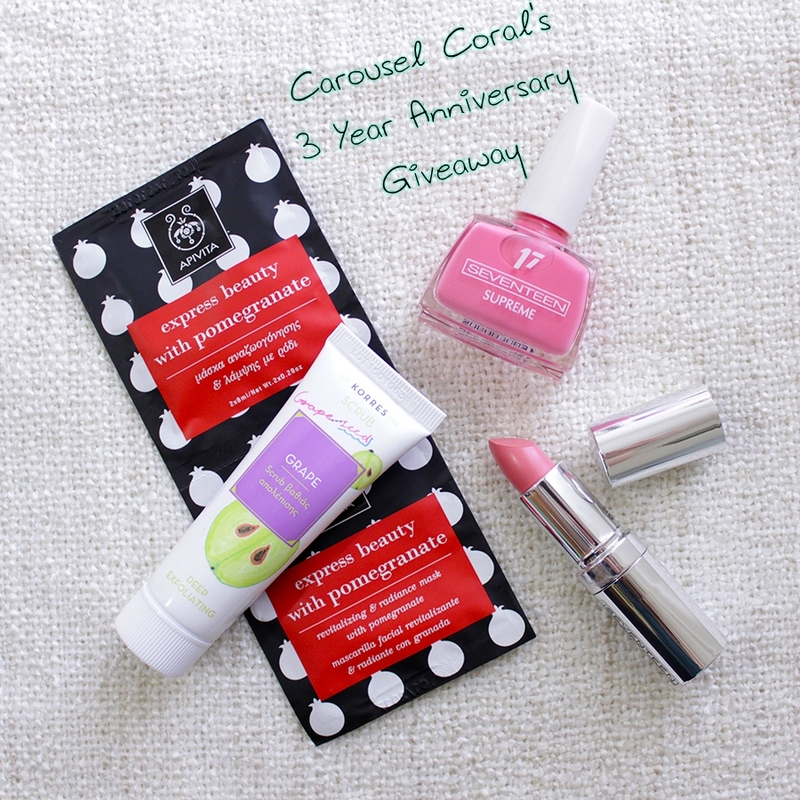 The winner of my “Carousel Coral's 3 Year Anniversary” Giveaway is……. Congratulations girl! I've already contacted with the winner. I want to thank everyone who entered my giveaway, and also I want to thank all of you for following and supporting my blog for all these years! There will be more giveaways in the future, not only on my blog but also on my Facebook page, so be sure to follow my blog on Facebook and stay tuned for more future giveaways, there will be one really soon!